OnePlus and Souq.com announced today their partnership for the upcoming sales of the OnePlus 6T UAE. The new phone will be Souq Exclusive, similar to what the parent company Amazon will offer to OnePlus customers in India. 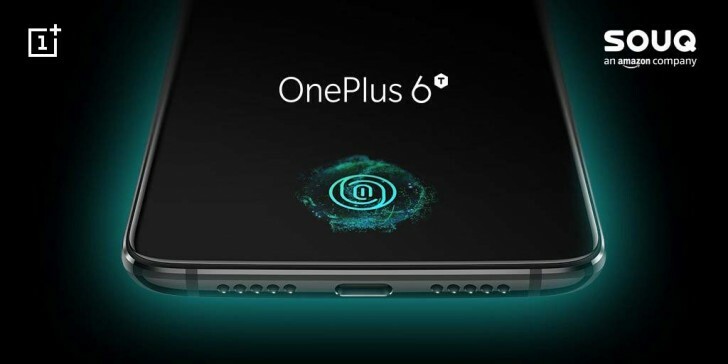 The event was held by Pete Lau, CEO and founder of OnePlus, who confirmed some of the specs like Snapdragon 845 chipset, the in-built fingerprint sensor under the AMOLED screen and Android Pie out of the box. The official unveiling is on October 29, while the phone will be up for pre-order on the retailer website on October 31. Souq.com currently delivers to UAE, Egypt, Saudi Arabia, and Kuwait. There are also three so-called international markets – Bahrain, Oman, Qatar.